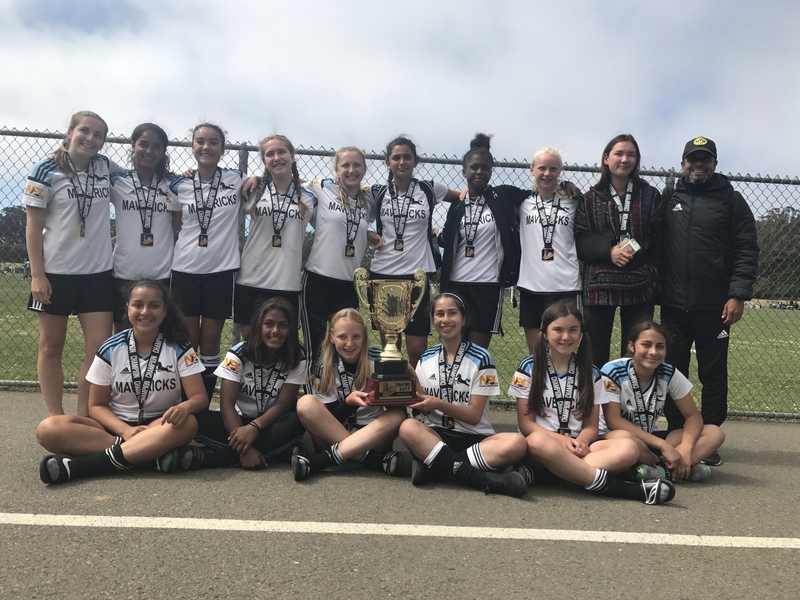 The Mavericks 2003 Girls Black team won the u14 Girls Premier division. The Mavericks Girls went 1-1-1 in the preliminary round. Then beat the Pleasant Hill/Martinez Reckless in the semifinal. In the final, they beat the Ajax East Bay 03G. The score was tied 1-1 after regulation and after two overtime periods. The Mavericks won in penalty kicks 4-3. Keeper Safiya O'Brien blocked one penalty kick attempt and then won the game with a successful PK of her own. Congratulation to all the players and coach Danny Mendoza, A great to start for the team who have just finished with their most recent tryouts.